Setting aside the very limited number of folks with the expertise to do the actual work, there is very poor availability of rebuild parts from Honda …especially “oversizes” for internal engine parts such as pistons, rings and bearings. A better bet is to source a good used, low mileage engine from a reputable salvage dealer. 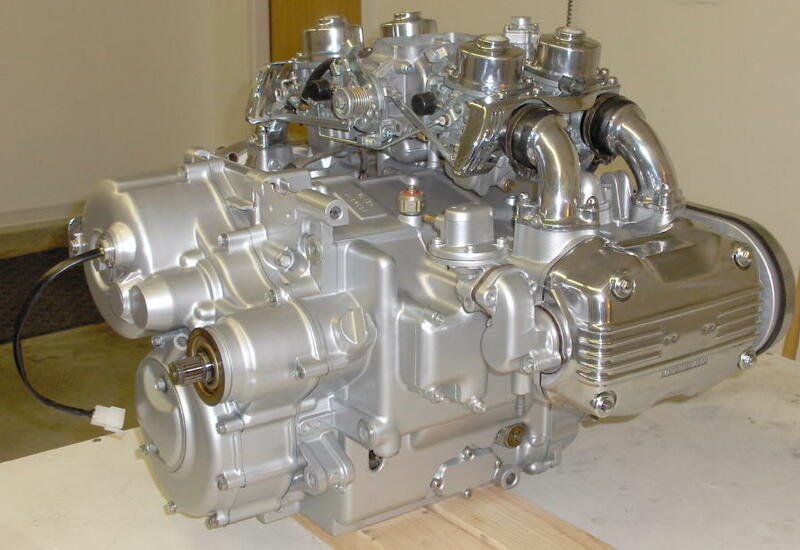 Salvage engines are still available in good numbers at reasonable prices. Many salvage yards provide limited warranty / return provisions. Good deals on used engines occasionally show up on the GoldWing Forums Classifieds as well. My favorite is the NGW Club. I use OEM Honda gaskets for my own work. You have to buy them individually which is a small hassle and the cost is higher, but there is no question about the quality. I believe Vesrah makes good aftermarket gasket sets. I recommend that you avoid all other brands of aftermarket gasket sets. The oil sight glass for the GL1000 is listed as oil level finder in the OEM parts diagram. The OEM #15661-371-015, it is available at some NOS site. As for the replacement the true way to fix it correctly and replace it will be to pull the engine and split the cases. The sight glass should pop out and the new one should pop in. Hi Randakk. Over winter I replaced the water pump on my GL1000. I also installed a set of 75 cams. It has no leaks, runs and sounds great and makes great power. My oil pressure is good: with 15W40 I get 15psi at 1100 rpm idle, 60psi at 2600 rpm and 70psi at 4000 rpm. But my oil has rubber, ferrous metal and non-ferrous metal in it. Any ideas where I should look next? Thank you. There are many possibilities, some benign…some not. I would drain the oil, remove and clean the oil pickup strainer, as well as the bottom of the oil pan. Then, refill with fresh oil and a new filter. Ride it a few hundred miles (so long as there are no strange noises or leaks!) Then, repeat the above process to see what the bottom of the oil pan looks like. I would probably cut into the oil filter for an inspection. I would also inspect the camshaft seals. Anyone have success swapping a more modern engine into the gl1000 frame? Spend some time on the NGWClub Forum: https://ngwclub.com/forum/ …where this issue is discussed in great detail. The short answer is: GL1100 and GL1200 engines can be installed into GL1000 frames but a number of modifications are required. For a truly heroic project, GL1500 or Valkyrie engines are possibilities. Hello I own a 1978 gl1000 and I am looking to make some more power. First can any parts interchange from the gl1100 or gl 1200? I would like to stroke to an 1100 crank and possibly heads since aftermarket parts are so cheap these days. If anyone has done this or can shed some light thank would be much appreciated, thanks. There, you can see many discussions on topics such as this.